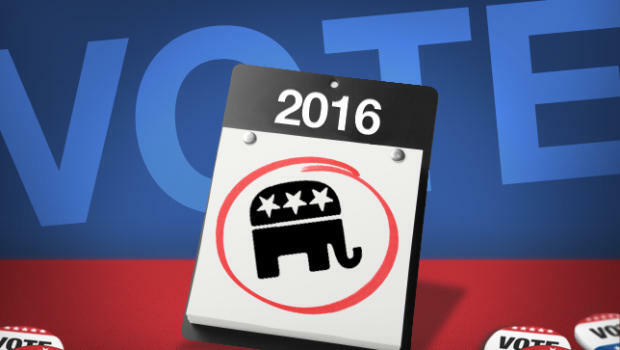 If you could vote in the Republican Primary today, who would it be? I get the emotional tug of Carson, and he is a very nice man, but he has no reliable foundation for decision making other than his own ‘common sense’. No one should rely on that because it’s subjective, and there are too many areas he gets pulled off principle, such as on life and 2nd amendment and parental rights, because he is his own foundation. That is dangerous to liberty. The final arbiter must be the Declaration and Constitution, with the bible as their foundation. The man who does that more than any other in generations is Senator Ted Cruz. Listen to the Youtube video of Cruz addressing Trayvon Martin’s mother in the Senate hearing about his death in FL and you will see compassion at work while NOT giving over any principle, nor relying on man’s wisdom alone. VICKI, WHERE EVER DID YOU GET THE MISTAKEN IDEA THAT DR. CARSON’S FOUNDATION IS “HIS OWN COMMON SENSE” ??? HE HAS BEEN SO CLEAR THAT THE DECLARATION & CONSTITUTION, BASED ON SCRIPTURE, IS HIS FOUNDATION, & HAS BEEN THAT OF OUR BLESSED NATION SINCE ITS INCEPTION, BUT IS ENDANGERED IN THIS DAY BY THE PRESENT ADMINISTRATION AND INCREASED “FALLING AWAY” OF OUR PEOPLE. Trump is only in this race to line his own pockets and for more power. Dr. Carson, on the other hand, actually CARES about this country and the direction we’re currently headed. The career politicians don’t give a hoot about us, none of them; and Trump is a joke. Sure, he’s loud and he’s saying everything the GOP wants to hear; but he’s a selfish, immature blowhard who whines when things don’t go his way. Dr. Carson can heal this country. Dr. Carson is a talented and accomplished surgeon but I could never support a man who advocates mandatory forced immunizations. He is also very weak on the second amendment, favoring restrictions on so-called semi-automatic assault rifles. We are so weary of Obama, almost anything sounds better, but Carson is not it. Check the facts before making your choice. I ask you to check your facts! Dr. Carson has not said mandatory forced immunizations/you have. Dr. Carson is very strong on the 2nd amendment/citizens rights to have guns shall not be infringed upon! Get your facts straight! I have given you the sites to check before apparently truth is not what you are about. During the so-called measles outbreak of a whole 100 people in California, Carson came out saying he was in favor of mandatory vaccinations. Trump had enough money! He is the only candidate that can pay his own way without help from outside contributors! That means if he gets elected he would owe nothing to any special interest groups or lobbyists groups! He has great business capability and he is a really good negotiater and he would handle our enemies just the way they should be handled! He would honor our constitution and make great things happen for our country! The rest of these politicians on both sides are going to be the same old game, the special interest groups and lobbyists will own them before they are even elected to office! So if you want to see the New World Order and a One World Government put in place before you grand children are grown then just continue to support the status quo! Trump is as crooked of a politician as they come. He uses his wealth to bully the small guy and to buy politicians. He speaks out of both sides of his mouth. He is a liberal. A man who can buy others is more dangerous than a man who can be bought. I’ve been a huge fan of Ben Carson for awhile but I’ll admit that I was skeptical in his lack of “political” experience. After watching his movie, Gifted Hands (available on Netflix, stars Cuba Gooding Jr.), I am sold. This man is more than capable for the job and he will do it with excellence because that’s who he is as a person! Ben Carson is, literally, a genius with an internal strength that most people don’t have, including the other candidates running. What he might not know, he’ll learn – but I’d be very, very shocked if there was an issue that he didn’t know inside and out and didn’t already have a plan for. Dr. Carson has said in his speeches that we, as a country, need unity in order to overcome the other challenges we are facing. I completely agree with that statement and he is the only candidate that will be able to accomplish that. As a country, we will get no where – on any issue, foreign or domestic – if we can’t bridge the divide that we, the UNITED States of America, have going on right now. Everyone should watch Gifted Hands because if nothing else, it’s a really good, inspiring story. Theres no better republican candidate to run this great nation and keep goverment in check than Rand Paul….hes got all the qualifications…. i am sticking with tRUMP because of all of them except maybe TED CRUZ, he has the guts to voice an opinion that is unfavorable to the MSM whom has been busy selling us pout at every turn. Now that FOX has joined that parade i can see all of them trying to misstate every thing he says and does. In fact i became under fire for backing him and took a lot of heat from all types of knowitalls who seem to think they know every thing he stands for despite know nothing of his platform..i am sticking with him until i find out he is not what i want in a president. so far he is top dog..the pundits who seem to think they know then the voters can take a long walk of a short board. Do you really think it is a good idea to have a president who has no problem talking to people the way he does, take for example how he talks to Rosie publicly, She is my least favorite person in the the world but in some places in the world words like that can start wars. Trump has a extremely low character factor, he is hot headed and talks without a filter, just because a man talks honestly at his enemies does not mean he will be able to get them to cooperate with him, I think saying things differently but intelligently with integrity and honesty is by far a much better way to get things done. Don’t let the feelings of satisfaction when he says things you want to say to people trick you into thinking he is capable of getting things done. His low character factor is something that should be a a huge red flag even though it makes us feel so good when we hear it. We need a leader who will bring us together again as americans not continue to divide us. Remember united we stand divided we fall. Ben Carson has a wonderful voice, it’s just not as obnoxious as the other candidates! If you actually listen to Ben Carson, he is saying very similar things, as both Trump and Cruz. Dr. Carson, just doesn’t have to be loud and obnoxious about it!! Agree! We have to just keep getting his word out there!!! Having the guts to voice your opinion is not in itself a quality to choose a president. Many of us have the guts to tell it like it is, but most of us are not qualified to be president. If you look at the entire package of Donald Trump, you will find an immoral, egotistical, dictator a lot like Mr. Obama. You are on the right track with Ted Cruz. He has the guts, plus he is a proven conservative. He is a brilliant Constitutional lawyer who has won Supreme Court cases on behalf of conservatives. Sadly Trump isn’t the president we want. He is however the president we need. I personally don’t agree with every last word that he has to say, but he is the only one who can actually say that he knows what the common people, i.e. We the People, need. He is a business man which means he isn’t going in blind. He’s lived in this country his whole life, might have been brought up with a silver spoon in his mouth, but again he has seen the worst parts of this country and knows how they can be fixed. He has a solution that people who are all about the “gimme” do not want to face. He isn’t the greatest man on the planet, hell he isn’t even the nicest, he is however one of the more truthful politicians out there in this race. I’d rather pay for my birth control at twice the rate that it is going for now than to bring whatever child I might have into a world of politics that seek out those with a dream and stomp on it. Trump for president like it or not. Since when do you chose to accept the wrong to be a right? Trump , if you study his reasoning , has latched onto policies that Dr. Carson has given forth before He did and Dr. Carson is a united and compassionate choice over the I can buy my way and demand they dance to my tune. That sounds akin to slavery to me; bought by the almighty dollar. No Thank you; my vote is for Dr. Ben Carson. The things you are looking for are available in Ben Carson who says the things we need him to say but he says it intelligently and with integrity. Look into him start listening to his speeches I know you will like what you are hearing, With Ben we will get a president who is not in the special interests pockets and will not go there. Trump is not our answer unless we want day after days of arguing,division and turmoil for that matter we may as well stay with Obummer. Torn between Senator Rand Paul and Governor John Kasich. Probably go with Rand Paul today as he probably has a better chance at this time. Rand Paul, all the way. Let’s get this government down to a workable size. Rand Paul wants government out of our homes. He wants families to raise their children, not government. He’s just the obvious choice. My son was stationed in Peurto Rico at one time. His son was born there. Puerto Rican? NOPE. American citizen all the way of 2 American parents.Where you’re born doesn’t matter. What matters is that one or both parents are citizens. You can’t always control where you’re born. As for Cruz being a shill. NOPE. He’s an absolutely brilliant man.Do the homework. As for Trump being in cahoots for Hillary.Let’s get real here. If Trump wanted a Democrat in the White House don’t you think he could have ran as a Dem or given the Clinton campaign TONS of money? Bill did NOT call Mr Trump before the election.I will get you proof. Bill Clinton called Trump long after he had made his announcement. You really need to research his record he has given millions to democrats over the years why??? If I was him and I really believed in the republican party I would never donate to the democrats, but his agenda is by far more important to him he donates millions to them to get them to help him when he wants something from them, he buys people and he is buying the presidency, hell no, we don’t need that. Y’all, I Go The Way Of The Cruz Missile!!!! I like Cruz a lot. But for now still support Trump. I wouldn`t be surprised to see Trump eventually support Cruz. Trump. my husband is voting for him too!! wish it were today. My vote is for Rand Paul. If things were perfect, I would be voting for Ron Paul, but Rand is his father’s son. A Constitutionalist, a true believer in the Constitution. Oh they all have very good points – Yeah God did make them. They are also flawed humans. Cruz sounds good but has integrity problems – Also not a natural born citizen – Constitutionally eligible to be POTUS . Trump sounds are full of ear candy but mean nothing. Trump has no integrity problem because he has no integrity about anything except what he wants – a terrible infant grown old & baldish comb-over. Yep, Trump is soon to be yesterday’s news. Rick Perry is the NWO waterboy for Bush. Mark Rubio is all about keeping the price of drugs so high that the market is worth killing for. Ben Carson is a good man except that his urge to heal has become poisoned with an urge to rule. Carly Fiorina is a good CEO but want to run the USA like the Ottoman Empire. But then there is Rand Paul – a man tested and after my own heart. Yeah he was smart enough to know Fox/Megan’s invitation was set up for a mugging. He felt like throwing up and rightly so. But he held back when he could have thrown up on Megan. Among many animals projectile vomit is a very effective way of discouraging predators. Rand Paul still has much to learn from his animal instincts. Paul probably would work best in a team context though – US Presidents have to do that you know. Cruz is not a naturalized citizen. He is a Natural born citizen by law. I find it odd that only right wingers think he is not natural born, but I think I know why. Some right wingers don’t want to sound like hypocrites after pointing out that Obama is not natural born, so they jump on Cruz for the same thing. However, they forget that it was Obama’s mother not meeting residency requirements in the U.S. and not Obama’s place of birth that disqualified him. Place of birth is moot, otherwise millions of military brats would not be considered natural born all of a sudden. Obama’s other problem is that he has never provided a single legitimate document, birth certificate, draft registration, social security card, etc. His entire identity is suspect. Ted Cruz is an open book and nothing about his birth ever disqualified him as a natural born citizen. Stop worrying about being seen as a hypocrite if you back him up on that. Truth simply is. Your mistake is holding on to flip flopping amnesty bug, anti Semite rand Paul. Just like his I never won a thing father. Cruz has no problem unless you think honesty and true to his word candidate is not what you want. As for liberal wonk Carly check how far left the woman ran against babs boxer. And as for being a good CEO, she rn he company right into the ground, fired thousands of people while she lined her business suit skirt with monies as she bankrupted the company she robbed from. P.s. she also was named one of the top twenty WORSE CEO’s in the country. Better do some vetting constitutional reset. Dr. Ben Carson has the urge to heal AMERICA. That’s the most important healing I can see. Cruz has over powered trump. Trump has dug his own grave, he will have to lay in it, TRUMP IS DONE I HAVE DETERMINED HE IS PLOY FOR THE CLINTON CAMPAIGN. NOTE;; BILL CLINTON TALKED WITH TRUMP BEFORE TRUMP ANNOUNCED,THEY ARE IN CAHOOTS ,, TRUMP GOING 3RD PARTY A SHOO IN FOR HILLARY! Doesn’t look like Trump will need a 3rd party. He’s killing it. Reps.cant tell whn.God is rebuking them. Everything you said was correct except you should have used the DEM’s and/or Obama instead of the REP’S!! Mr Trump is winning whole families. Reason being, we were being forced to accept Bush and Clinton as the candidates without the powers that be giving the American people any choice whatsoever. They were being touted as if it was a done deal. The American people find that kind of attitude repugnant. Most of us are pretty smart and don’t need to be told who is good for us. As a matter of fact, Bush and Clinton aren’t good for us nor the country as leaders. So go Trump! Would vote Paul first, Cruz second, Fiorina third, and Carson fourth. Although that Cruz Paul thing could be reversed. Fiorina did an amazing job, however there are some skeletons. Carson needs experience. Interestingly, if the primary were held today I would vote Fiorina, if I knew she would pick up Paul as a running mate. Solely based on the fact that we need a win and they would beat any Progressive running mates hands down……Weird Huh? I haven’t gotten numbers anywhere. Tell me how Jeb is number 2 in “all the polls.” Have you met a single person who endorses Jeb? I haven’t. I don’t know how much stock I’d put in any polls. Trump is also the least liked in all the polls. His =/- rating is the absolute worse by far. So even if he has 25% of republicans for him, having 43% against him makes him nothing but a loser waiting to happen. I like your blog because is nicely organize with good content. Keep up the good work! Never been a fan of Perry since he tried to make deals with Spain and push the trans Texas corridor. He likes to identify with real conservatives and Tea Party patriots but only since he decided to run for president. In essence he is big government status quo corporatist. He grew Texas government far larger during his terms as governor. Then there was the fiasco where he tried to force vaccinations on people of Texas. I’m shocked at the comparisons being made between him and Cruz. Cruz is IVY league educated, far more knowledgeable about the constitution, and has argued cases in front of the Supreme court. He is a world debate champion as well. He is also a true Reagan conservative unlike Perry, and a man of extremely high integrity that can’t be bought. As far as the NAFTA superhighway issue essentially this is what he was doing to sell out Texas to Mexican free traders and foreign governments. Don’t get why Mr. Cruz is ahead of our Governor Perry, he has had much less experience. He no doubt is a good man, however, seems we need to learn, less experience gets this country in trouble. So proud that the governor is coming up, believing he’s going to overcome!!! I have no idea, but if I had to guess it would be that even if his record is shorter it is much more in line with the Constitution. Also Cruz has never supported Amnesty nor given in state tuition to illegals. Perry has. Not knocking Perry, just pointing out the facts that won’t go away on their own. Perry will have to do a very good job of explaining and/or convincing people that he’s legitimately changed his mind on immigration. Actually, now that I look, it seems that Perry is leading. All other polls show Cruz slipping. He is just another freeloader like his father becoming a minister to live off of handouts. His words of morality and ethics are just self serving ploys. He is just another typical pretentious bible thumping conservative male chauvinist. Trump uses offensive words, Cruz, Huckabee, Walker and all others use legislation to shackle women downward. Please, provide an example of any legislation Cruz voted to pass that shackled women downward. I think you are just angry about something. Maybe you don’t get enough free stuff?